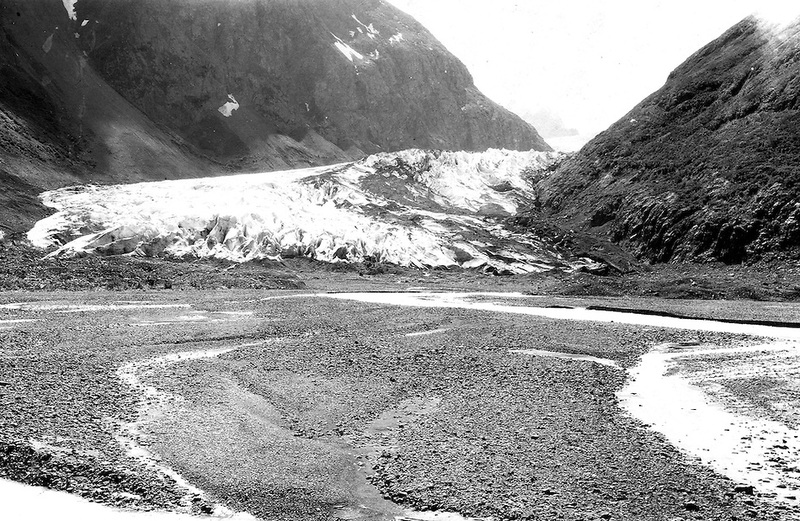 Eklutna Glacier in 1915, image taken by U.S. Geological Survey geologist Stephen Reid Capps. Eklutna Glacier is located in the Eklutna Lake area of Chugach State Park, Alaska, United States. I plan to write a more detailed post about these images and several other posts with more information about Capps and his work and the other historic images that I’ve repeated over the past decade. I just wrote a post about Stephen Capps and his 1915 Alaska geology fieldwork. 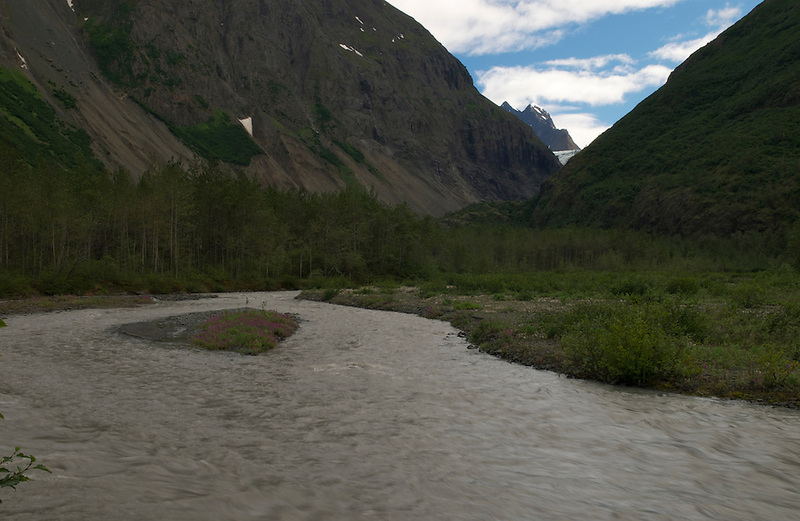 August 28, 2010 | Filed under Chugach State Park, Repeat Photography and tagged with Alaska, Alaska State Parks, Chugach State Park, Eklutna Glacier, Glaciers, Photography, Stephen R. Capps, U.S. Geological Survey. In the 60’s, friends and I would camp near the glacier. There was no lake then, only a stream. We had to drive on a road similar to a jeep trail. There were no signs to direct you to the glacier, we only knew about it by word of mouth. The highlight of the trips was to walk into the mouth of eklutna glacier. In the 1960s we drove our car to Mile 12.7 where we stash our bicycles today. After a hike of less than 1/2 mile, we could see the face of the glacier, which even back then was beginning to retreat back into the canyon. On May 14 of this year I hiked way back in there and saw the glacier’s face for the first time in more than 40 years! In my lifetime, it was receded about one mile. Since 1915, I’d guess it has retreated about 1-1-/2 miles. Thanks for the email and photos. Hearing first hand accounts of how things have changed is always fascinating. No matter how many times I see it, it’s amazing to see geologic process operating on a human time-scale. My quick and dirty estimate (based on imagery in Google Earth) was that the glacier retreated about 1.25 miles since 1915.